Apparently, American police officers are now able to kill citizens—particularly young black men—at will, without having to worry about even facing charges. 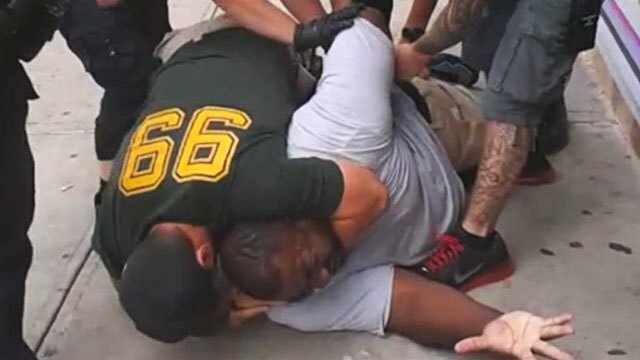 Yesterday, a New York grand jury refused to indict NYPD officer Daniel Pantoleo for killing New York resident Eric Garner with an illegal chokehold on July 17th, 2014. Garner was selling loose (thus untaxed) cigarettes and had just broken up a fight between two other people, when four officers confronted him and began to forcibly detain him. While the three other officers forced Garner to the ground, officer Pantoleo jumped on his back with a full rear-naked choke, slowly cutting off the blood supply to Garner’s brain and causing his death. The investigating medical examiner ruled his death a homicide. Choke holds and other restraints that cut of the blood supply to the brain are banned by the NYPD because they have killed numerous suspects in the past (I have practiced Brazilian Jiujutsu for four years and can personally attest to how dangerous these chokes are—you can knock somebody out in seconds and cause permanent damage in just a little longer if you don’t release the choke immediately). Beyond the excessive and negligent type of force used, there was no justification for using any force, as Garner wasn’t presenting a threat to anybody, nor was he assaulting the police; at worst, he was being argumentative and should have been talked down. In a sane world, this situation would be open and shut: a police officer used a chokehold during an arrest that is illegal because it has a history of killing people; predictably, his illegal use of the chokehold killed the suspect while the man begged for help. We have a very clear video of the event, a ruling of homicide by the medical examiner, and an indisputable violation of police procedure. Getting an indictment for manslaughter, criminally negligent homicide, reckless endangerment, or excessive force through the grand jury should have been so easy that a first-year law student could do it, blindfolded, in about an hour. Unfortunately, we live in a world where the system is slanted away from justice, just as long as the victim is a member of a disenfranchised class. I don’t think anybody argues that, if the victim in this case where an 18-year old blond girl, Wall Street banker/billionaire, or family member of a politician, the charges wouldn’t have immediately been filed and the officer been put on trial. This is because society sees those groups as insulated against such police violence, thus actually moves to consequence of officers if they attack such people—conversely, it has become commonplace for police to kill unarmed black citizens, thus society doesn’t demand justice as vociferously as it should (it has been desensitized). 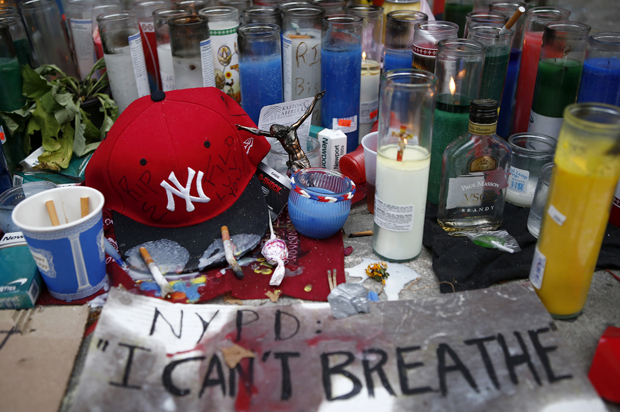 While many police apologists will call the Garner killing an isolated incident and the product of poor training, the preponderance of the evidence shows that these killings are epidemic. In 2013, over 1,000 Americans were killed by police officers, almost all of which were deemed “justified” by the police departments and prosecutors involved. Compiling this data is very difficult, as many police departments simply don’t report such killings to the FBI alongside their crime data, thus analysts are often left to sift through media reporting to estimate police killing rates. 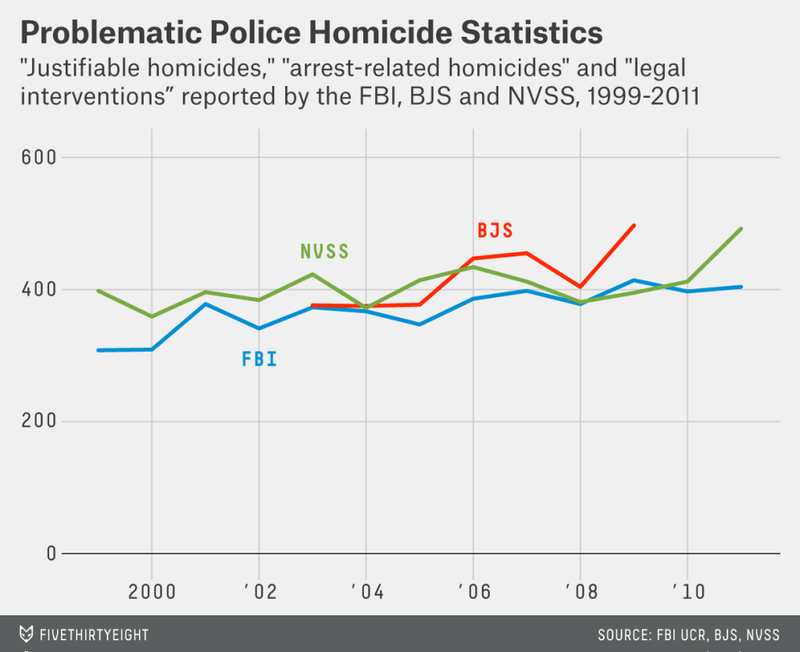 Few people realize just how large this problem of police killings is. While some tragedies make the news—like the Brown shooting in Ferguson, or the Rice shooting, where an officer with a history of mental instability essentially did a drive-by on a 12-year old black child holding a toy gun (not hyperbole, watch the video)—most are simply left to local media outlets and are ignored by the national media. This lack of attention and outrage by many Americans has allowed a terrible situation to fester and we are now seeing the results. Our police have, in many cases, become the murderers who they should be protecting innocent Americans from. This is another case of a prosecutor who works with the police being unwilling to indict. According to a news article published on Yahoo by Dylan Stableford the US attorneys asked for 165,000 indictments from 2009-2010. Only 11 times did the grand juries fail to indict. Any prosecutor can get an indictment if he wants one. In both Ferguson and Staten Island and nationwide we have a problem when the police are involved. We are asking a local prosecutor to indict the people (police) he works with and depends on. Police are instrumental in his work. The only solution is really a simple one. Any time a police officer is involved in a homicide or alleged brutality the case must be investigated by an outside agency. A special prosecutor who has no connection with the police or community. This takes the prosecutor off the hook and assures that the system is fair and unbiased. Until this happens all cases of police getting away with brutality will be suspect. Good cops will be branded and lumped together with the few bad apples.